Val’s sister decided to drive on back home today. We got up late this morning and Malcolm fixed pancakes. After breakfast, Malcolm headed back out to get one of the LP tanks refilled at a place he found yesterday (but was already closed). The LP place only takes cash or checks, neither of which Malcolm had handy. So, a side trip to Kroger to get some milk that we needed, anyway, provided a no-cost way to get cash out with the debit card. Then it was back to rescue the filled tank and to take it back to the trailer and re-install it. Once Malcolm was back, we helped Val’s sister out to her car, gave her hugs and waved goodbye as she headed back to northern Kentucky. We decided to head out and go sightseeing today. 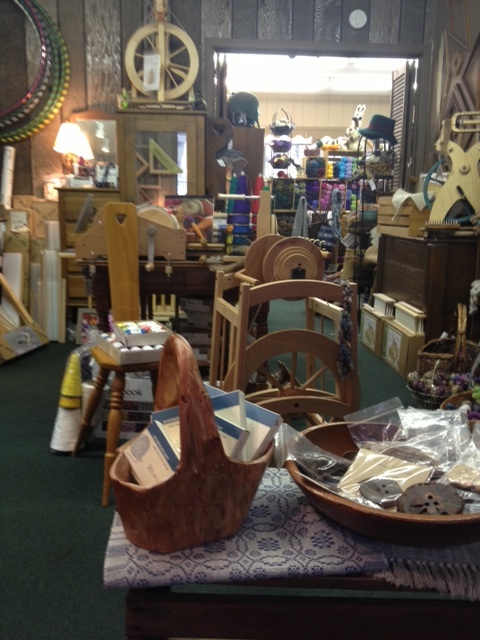 First stop was a yarn shop in Gatlinburg that Val wanted to visit. Malcolm quickly found the couch so he could sit down and relax. 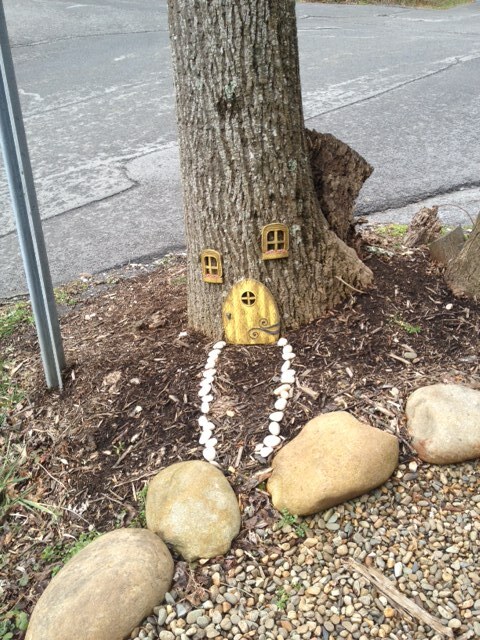 Not sure who lives here. After the yarn shop, we found a reasonably priced public parking lot ($5 for all day) that had big spots the dually would fit in. We walked up the hill and at lunch at Mellow Mushroom. It was too cold and damp to do any walking around downtown, so we headed back to the truck after lunch and headed toward Smoky Mountain National Park. 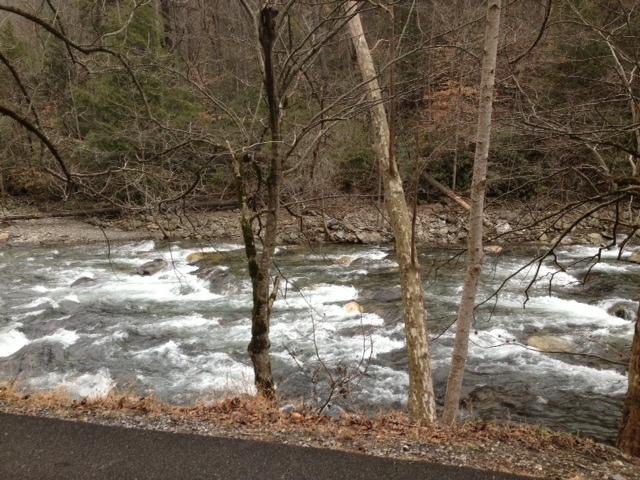 They had the road up the mountain closed due to snow and ice, so we headed across to Cade’s Cove. We drove around there, taking pictures and enjoying the snowfall. Here are some various pictures from the area. 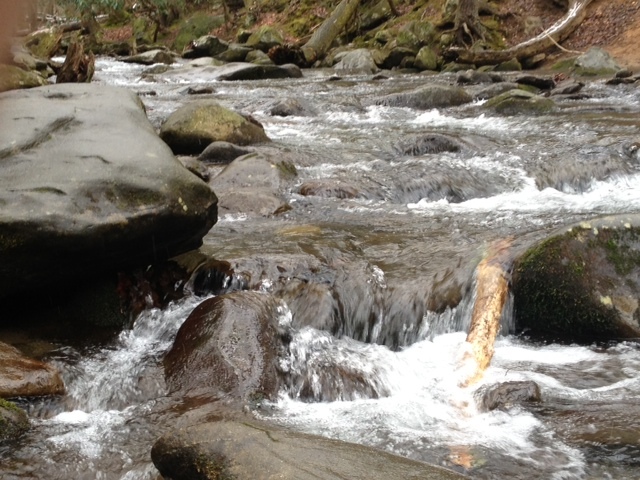 Plenty of mountain streams around. 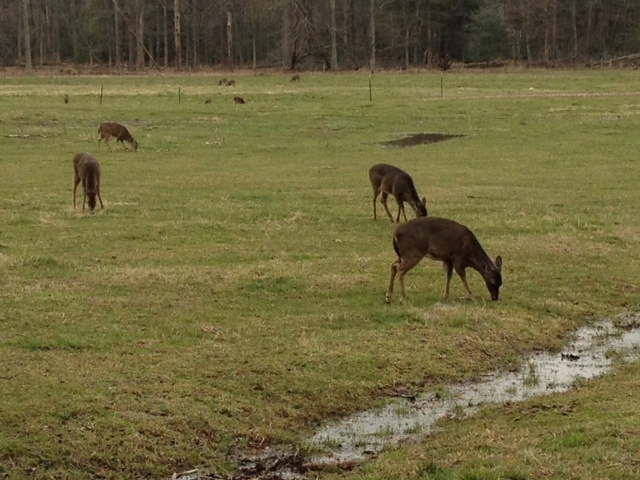 Deer were grazing everywhere. Human visitors didn’t seem to bother them. 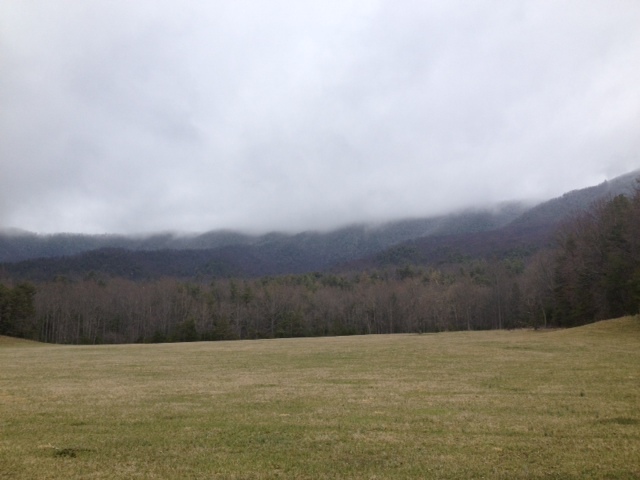 We had a great visit to Cade’s Cove. I can see where it would be very beautiful when there are leaves on the trees, the flowers are blooming and the grass is lush. We’ll have to plan a spring/summer trip to the area sometime. Once we got back into town, we stopped by the trailer for a bit. Malcolm wanted to find out how much it would be to go to the Dixie Stampede for dinner ($50-55 per adult) and if he could find any coupons ($3 off per person). We headed over there around 5:30 pm. The show starts at 6:00 pm. There was a huge crowd outside waiting to get in, so we decided on dinner elsewhere. We had a nice dinner at the Old Mill Restaurant and stopped by the gift shop on the way out. Once back at the trailer, Val started doing some of the packing for tomorrow’s move. We’re heading out from here and either stopping somewhere on the way home, or just heading on back home (wouldn’t be a real long drive either way).